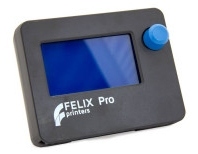 This set contains all the essential tools to make a great start with your brand new FELIX 3D printer. 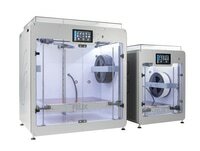 The set of tools and parts will make it convenient to efficiently start and stop your prints. The small refillable spray works very well to clean the print bed. Fill it with cleaning liquid (recommended: Denatured alcohol/Blue spirit) and spray a bit on top of the print bed each time before you start a new print. Tweezers make it much easier to carefully peal of a 3D printed object from the print bed. It is also a very useful tool to remove any filament residue from the hot-ends. During normal usage the kapton foil will be of good quality for a long time. If it occurs the foil gets damaged or you start to see ‘shadows’ from previous prints, you might want to change the current foil for a new one. The Dust Cleaners are placed in the guidance tool that guides the filament to the hot-ends. Filament is very often loaded with static electricity, causing dust to stick to the filament. To prevent any dust to be taken into the hot-ends, dust cleaners are used. To make sure the filament will be guided to the hot-ends without any dirt, new dust cleaners need to be placed in the guidance tool once in a while.